A number of SSC exams are lined up in the upcoming months including the SSC CGL and SSC CHSL exams. Many aspirants are aiming on these exams to get the post of their dreams and be placed in reputed organisations. To ace such a pivotal exam, one needs to be thoroughly prepared with no room for any doubt. General Awareness contributes equally to the overall marks and should not be neglected in any way. To surpass the high cutoffs, it is necessary to be well-equipped with the knowledge of General Awareness. 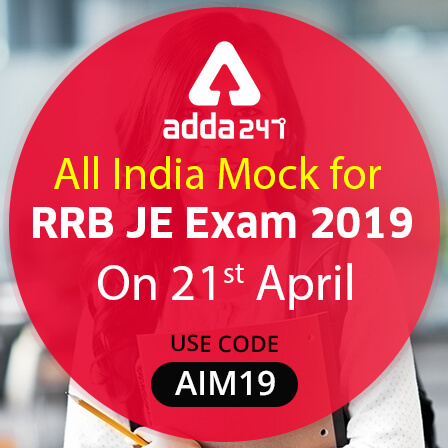 To make sure you are thorough with the basics of General knowledge, Adda247 is providing the Premium Package with Must Do General Awareness Questions for the upcoming exams. This Package consists of all the important questions required to be covered for SSC CGL and CHSL exam. It will make sure you cover the most out of the vast General Awareness syllabus. Moreover, it is available at a minimal price of Rs 299. Tests are available both in English & Hindi Medium. Its time to gear up your preparation with the must do general awareness questions that are designed by our special faculty to bring out the best in you.